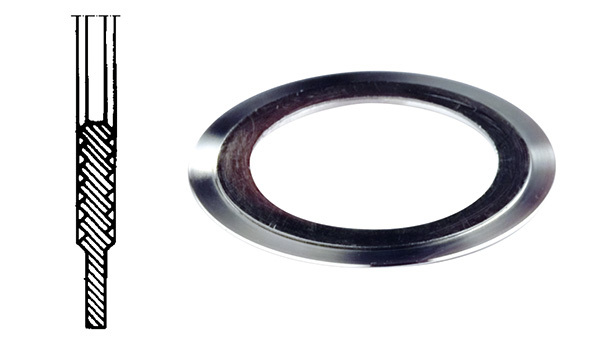 These „H-shaped“ force diversion gaskets have achieved a wide range of application in all industrial branches. The sealing effect of the graphite sealing zone pressed in „up to the beltline“ is supported optimally by a channeled valley. The 8 mm sealing width ensures high surface pressure without excessive stress on the flange or bolts. The chambers in the sealing zone prevent blow-out. Particulary reliable high pressure gaskets with special grooved metal core carrier with soft coatings on both sides; a combination which unites the advantages of a soft material (graphite) for quickly achieving the required surface pressure with the resistance of metal. 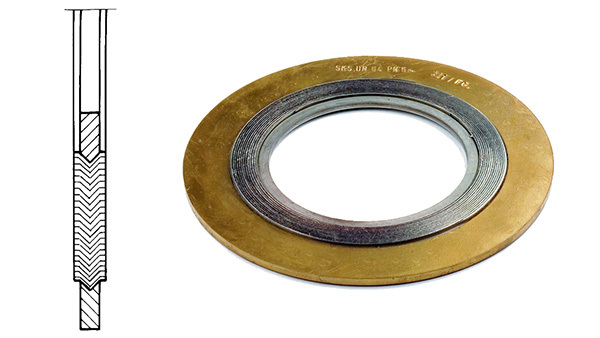 High pressure gaskets for controlled use in wide pressure and temperature ranges; particulary in combination with major temperature variations. Produced according to all standards (DIN/ANSI/API/ASME/BS et al.) or customer specifications. The selection of filling material and steel coiling tape depends on the medium and temperature. The special beaded profile of the spiral guarantees the resiliency required to keep the seal leak-free particulary in the face of temperature variations and/or flange motions, relaxation of the bolt tension, etc. The entire bond is designed adhesive-free. The SIGRAFLEX®UNIVERSAL PRO is an adhesive-free graphite sealing sheet consisting of impregnated, flexible graphite foil reinforced by a diamond plate of stainless steel 316 (L). This is an improvement on the proven SIGRAFLEX®UNIVERSAL sealing sheet, now suitable for applications in conformance with TA-Luft. 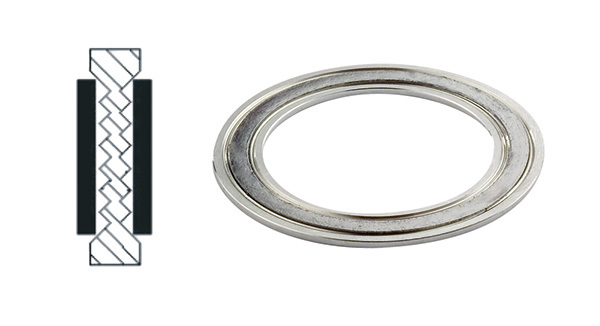 For many users this allows simple and quick change-over to TA-Luft gaskets without any major additional expense. AFM 34 is an asbestos-free sealing material. It contains aramid fibres, inorganic filling substances and other high temperature-resistance asbestos substitutes, bonded using high quality elastomers under high pressure and high temperature to ensure that it is highly stable and particularly gas-tight. 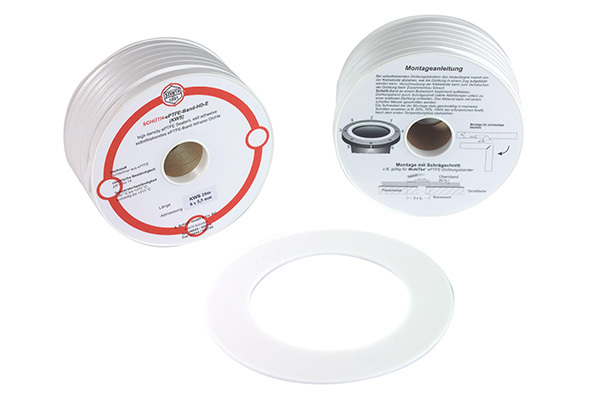 Schüth-MultiTex® ePTFE sealing sheets consist of virgin, oriented PTFE. The process during production provides the multi-directional fibre structure, which gives the gaskets their very own special properties. The materials are distinguished particulary by their extremely low setting characteristics and the minimal increase in width, even under the most extreme conditions. Schüth-MultiTex® sealing sheets are available in various sizes, thicknesses and densities for highly varying types of application.